Think about the last time you were in a conifer forest - the smell, the wind softly stirring the canopy, the crunch of needles under foot. While you can't precisely imitate a forest in your living room, bringing a live Christmas tree into your house comes pretty close. We know that people benefit greatly from being among trees. Numerous studies show that walking through a forest confers tremendous psychological benefits. In Japan, the practice of Shinrin-yoku, or Forest Bathing, is thought to confer important health benefits. Forest bathing simply means walking through a forest in a calm manner. Walking through a park or along a shady street has many of the same effects. The benefits of being near trees are legion. Bringing a fresh-cut live tree into your living room at Christmas may have many of the same benefits. The smell of a real fir tree, the calming color, and the presence of something living in your house may be one of the most pleasant aspects of the holidays. Why, then, do so many of us choose artificial trees? There has been a steady decline in the number of households with live trees in the United States. Today, more than half of homes use artifical trees. The main reason seems to be convenience. Real trees are a bit messy, from the sticky sap to the needles that drop over the course of the Christmas holidays. There are other benefits of real trees. Most real Christmas trees are grown on farms and support many farm families. Although Christmas tree farms do use pesticides and herbicides, the amounts are low compared with conventional crops. 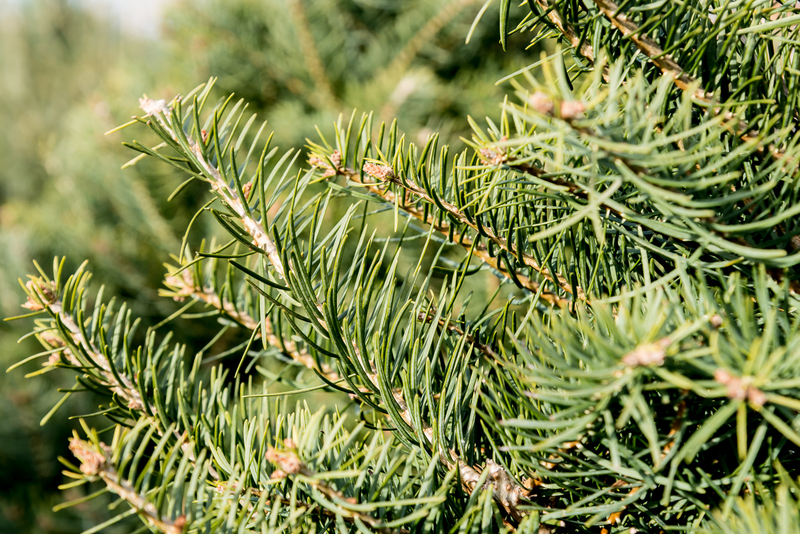 In the mountains of North Carolina, Christmas tree farms support over 1500 farmers and many more laborers in a sustainable agricultural ecosystem. Most of these farms are on steep slopes, land unsuitable for other crops. The life of a real Christmas tree is not over after the holidays. 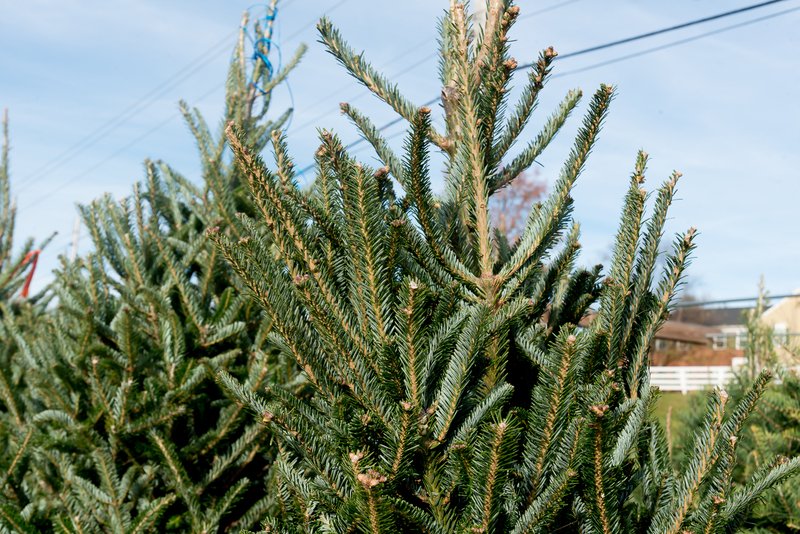 Most cities now recycle Christmas trees into mulch. In Kentucky, the Department of Fish and Wildlife is using Christmas trees dropped into lakes to improve fish habitat. If you have room in your backyard, leaving your tree out for the winter provides cover for song birds (and food if you add garlands of cranberries and popcorn). What about live balled-and-burlapped trees? These are best left outside. Bringing a live dormant tree into a warm, dry environment, then taking it back outside into the winter cold is very stressful. These trees often do not survive. Good quality trees are available in many locations. 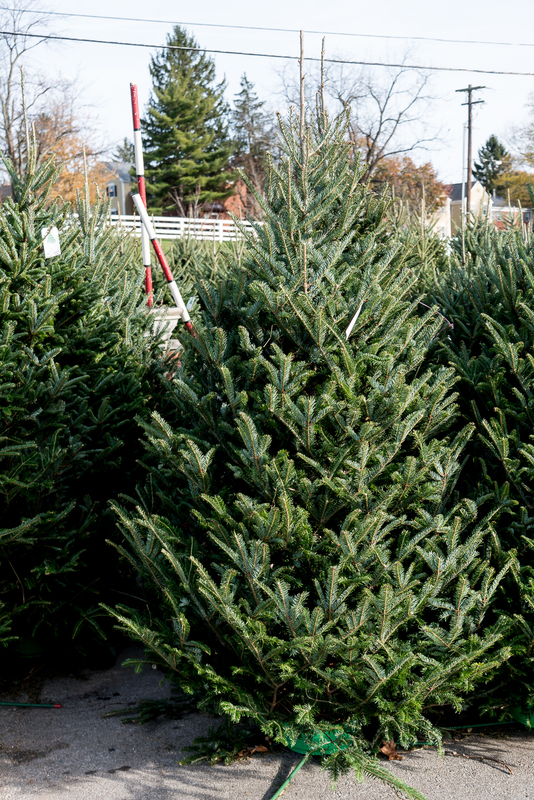 Trees at big box stores are often harvested months before they are available for sale, and are often too dry to survive the Christmas season in your house without dropping large numbers of needles. 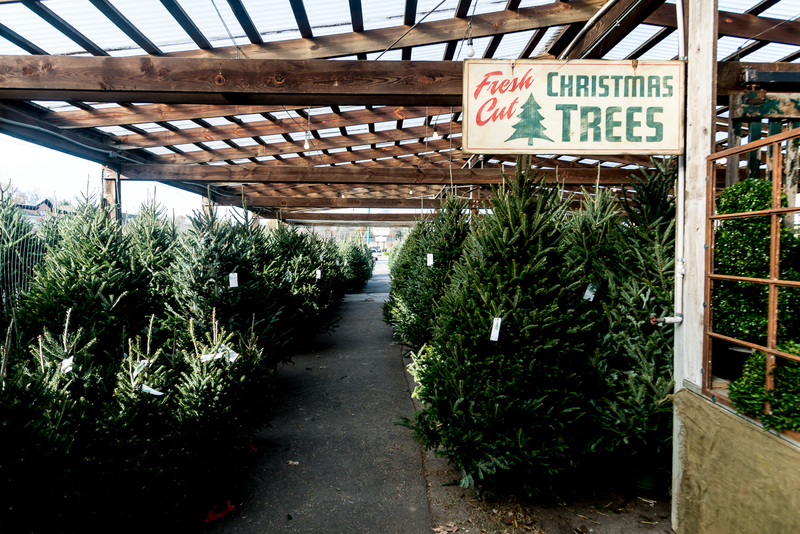 Local vendors often get fresher trees. 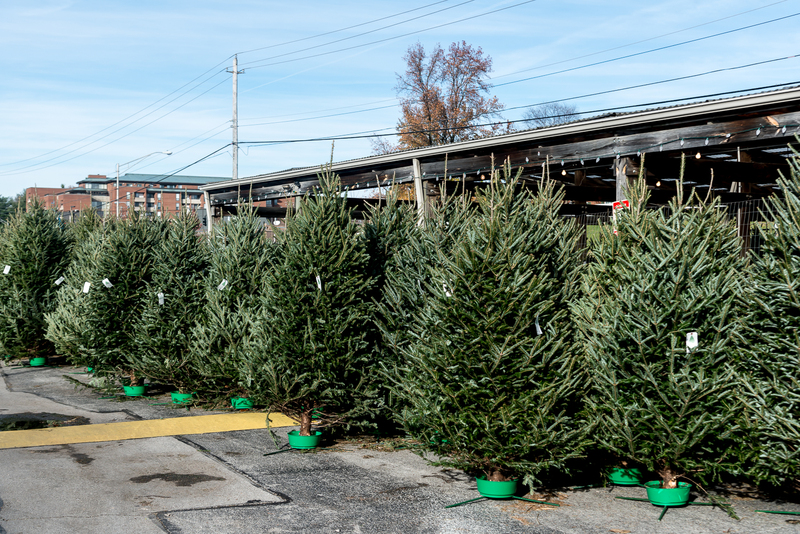 In Lexington, Kentucky, where I live, the very fresh Fraser and concolor (white) firs at Hillenmeyer Christmas Shop are very fresh and should last through the Christmas season in your home. 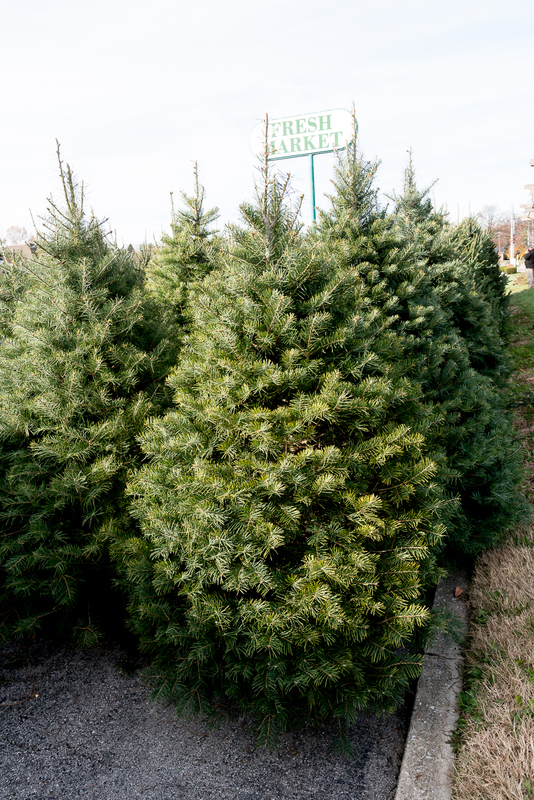 If you want to save some money, less expensive trees are often available at choose-and-cut farms. And, if you want a free tree, albeit with some driving and manual labor, most US National Forests will allow you to find trees out in the woods, cut them, and take them home. Fraser fir and concolor (white) fir at Hillenmeyer Christmas Shop. Concolor fir, Abies concolor, Christmas tree, also known as white fir. Posted in News and tagged Christmas trees.